2018 Rock Runners trail series set: Join us! Home › Latest News › 2018 Rock Runners trail series set: Join us! New for 2018, explore local trails safely and with an experienced group leader. This is your opportunity to learn to love trail running. There are a variety of trails close to home and within a short driving distance. So let's go check them out! All paces and experience levels welcome. Join us for 1 or all 5 locations and see what all the talk is about. Try something a little different each month; rain or shine we will see you there! These are organized group run/walks led by AMAZING certified coach, Cassie Kottke, and supported by a bunch of raving trail fans! 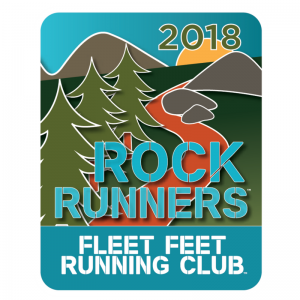 BONUS: Earn your Fleet Feet Running Club “Rock Runners” Patch! All the details, click here!